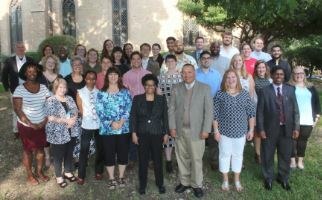 AUSTIN, Texas (May 22, 2018) –Austin Presbyterian Theological Seminary has called the Reverend Bridgett A. Green as assistant professor of New Testament, effective January 1, 2019. Her stellar academic experience was rewarded by numerous prizes and fellowships, including, at Vanderbilt: The Forum for Theological Education (FTE) Dissertation Fellow (2015-16), Theology and Practice Fellow (2009-2015), The Luke-Acts Prize (2014), and FTE Doctoral Fellow (2009-2011); at Princeton: The Jagow Preaching Prize and Seminary Fellowship; at Davidson: Who’s Who Among American Universities and Colleges (2000), and John I Smith Honor Scholar, Arnold Snider Scholar, and Samuel R. Spencer Jr. Scholar (1996-2000). 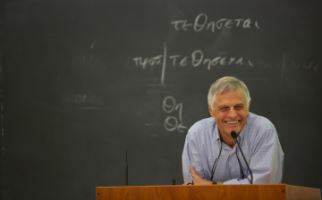 Alongside her scholarship, Green has also been involved in the ministry and work of the Presbyterian Church (U.S.A.). She was ordained in 2005 as a teaching elder (minister) by the Presbytery of Charlotte, and she has served on the staff of the PC(USA), beginning as associate for the Racial Ethnic Young Women Together project (2005-2008) and then as coordinator in the Office of Women’s Ministries and Racial Justice (2007-2008). Since 2013 she has been the biblical studies acquisitions editor at Westminster John Knox Press (WJK), and she has contributed to Connections: A Lectionary Preaching and Worship Resources (2019), the joint project between WJK and Austin Seminary. She has served on the boards of Montreat Conference Center and Louisville Presbyterian Theological Seminary and serves as committee assistant to the General Assembly of the PC(USA).